On Wednesday 25th January, our usual band of volunteers were joined by 24 visitors from Everything Everywhere making 38 of us altogether. We had a busy day clearing gorse and scrub vegetation from the Bronze Age hut circles and reeves (walls) on Leeden Hill. 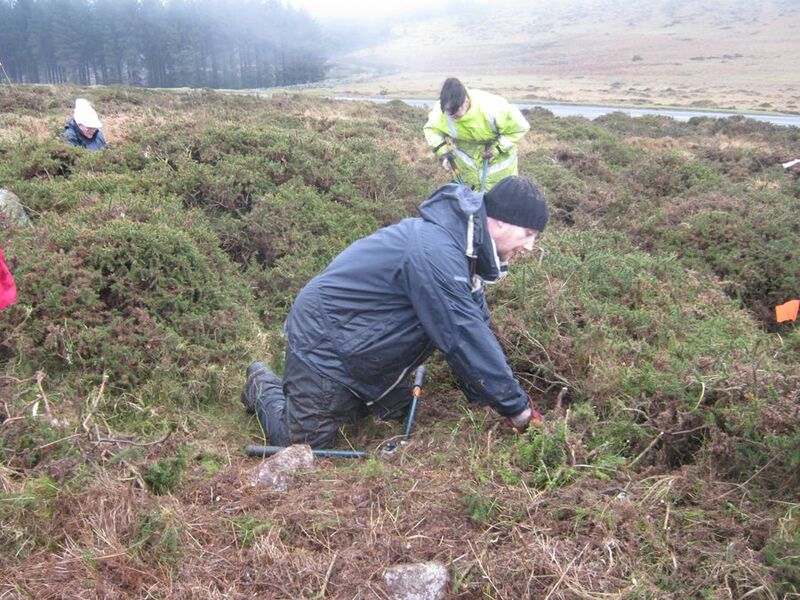 At 1,200 feet above sea level it is one of the more exposed sites we are working on at the moment. The weather was hardly what we would have chosen, low cloud was a bit of an understatement – it seemed to be reaching all the way down to ground-level in places! 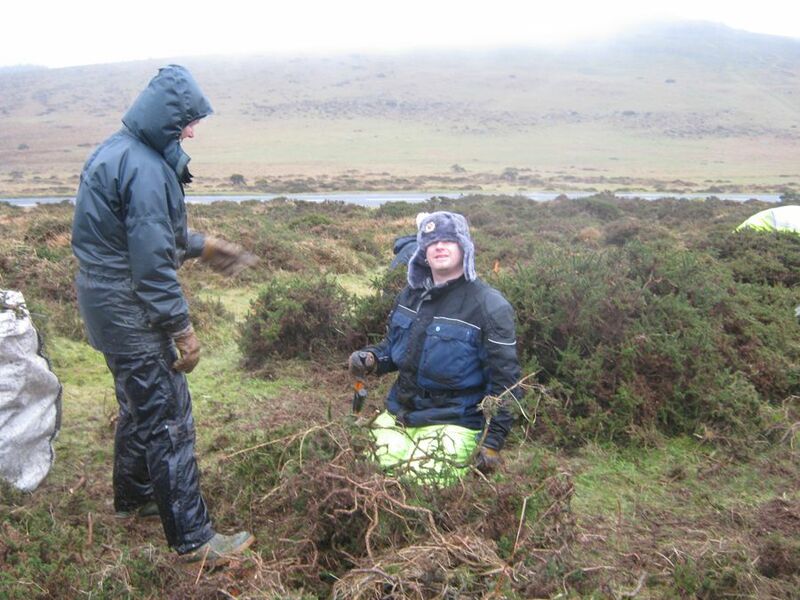 With extra wet weather clothing supplied from Val’s stocks we all set to work undeterred. Bob and Bill had planned out our tasks the day before so there was plenty to keep us busy. We owe a big thank you our visitors for working so hard and remaining cheerful despite the conditions. Some even said that they were enjoying themselves! In our usual tradition, we encouraged them with plenty of cake. We hope that they will come again on a nice, sunny day. 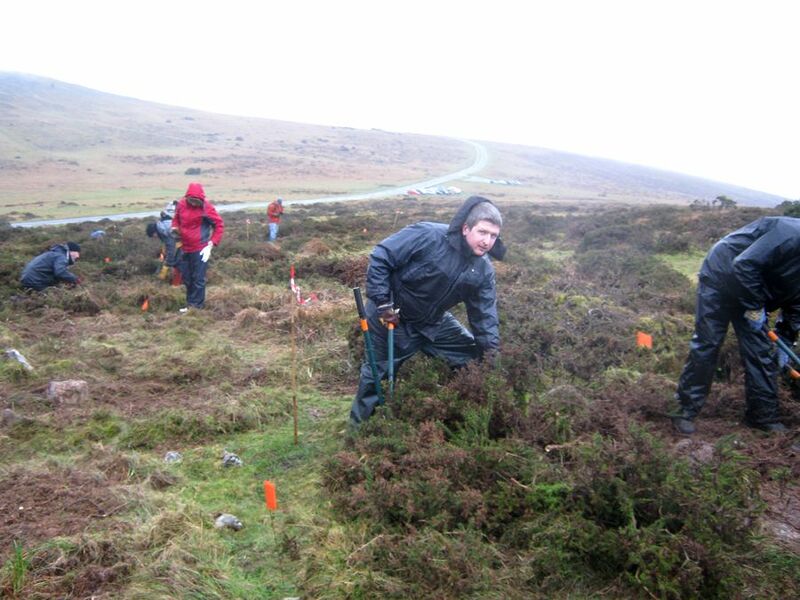 Thanks also to so many of our own volunteers for turning up for work on such a damp day.